Congratulations to TheZman Your WebDonuts 2010 Calendar is on its way! We might need to ask for directions Santa, I think we’ve made a full circle here. Listen fat man, I’ve been pullin’ this slay for years, when I say SIT DOWN I mean SIT DOWN!! I’d walk a mile for a camel. Sandy Clause. Very funny, Rudolph. I don’t have time for any reindeer games, Rudolph. 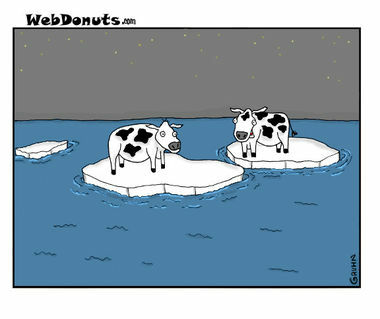 This GLOBAL WARMING has to be reversed. Rudolph: I told you we were lost! I told you to stop and ask for directions. But you wouldn’t listen to me, would you? Rudolph is shocked when he finds out what it really means when Santa is saying HO! HO! HO! Santa is doomed to spend eternity in Hell for distracting people from the REAL, “Reason for the Season”. remember the lump of coal you gave me last year Fat Boy!?! Oh come on Santa you wont melt, you are not Frosty the snowman! But Mrs. Clause already has a Christmas cactus. The North Pole, 2059 A.D.
Might as well give up, Santa, we’ll never find your contact lens here. Here we are at the nuke test site. Now let’s see what parts of you glow red after exposure. You refused to join the Biggest Loser last year, so consider us your personal trainers. 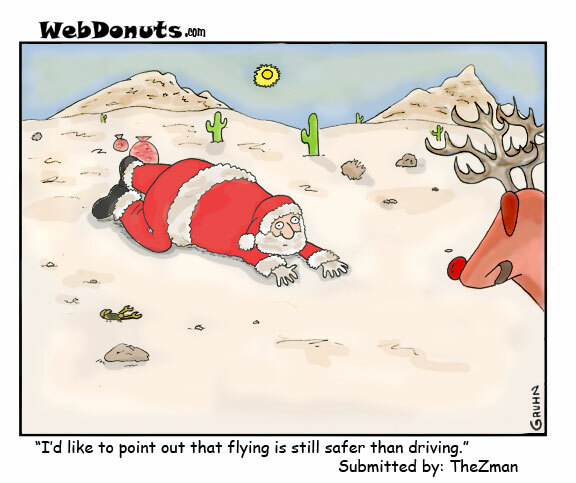 Santa, I told you to get one of those Life Alert things! Now how are you gonna get up?? rudolph (speech bubble): you let them keep me out of the games for too long, old man. you think that’s easy to forget?? Make it quick. I told you to go before we left the North Pole. [bubble]: Okay, Chris, we’re ready to get back to it.